Wenthe-Davidson Engineering Co. JIT - Lean Production - Wenthe-Davidson Engineering Co.
JIT-Lean is a culture change. It involves every level of management, engineering, shop floor colleagues, procurement, manufacturing, quality, sales, marketing, and human resources. The importance of developing a foundation for this culture change is critical to the success of any organization that begins this journey. 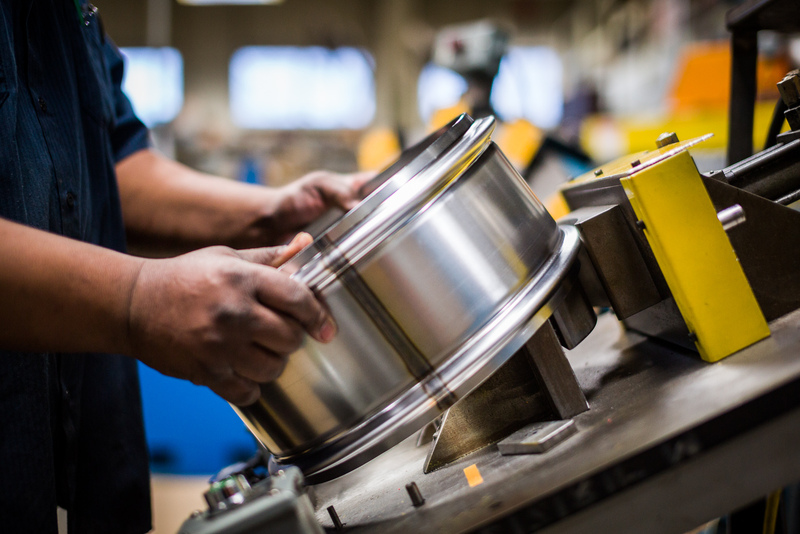 At Wenthe-Davidson, the tools of Six-Sigma are used throughout our JIT-Lean production system. From the development of the current state map throughout the design and implementation of our future state, Wenthe-Davidson is committed to JIT and Lean culture by utilizing Six-Sigma tools. Processes are balanced in our work cells to create a single-piece flow. Where this is not achievable, we link the cells using Kan Ban processes and FIFO lanes where ever applicable. Training of our colleagues is done on a continuous basis. From choosing the team leaders to developing efficient work teams, our “train the trainer” program supports the teams in applying single piece flow, quick die change, set up reductions, real time quality checks and process improvements. The 5-S process is used to: sort, set in order, shine, standardize and sustain our production process as well as our supporting infrastructure. To ensure our real time quality commitment, Production Process Improvements (PPI) forms are developed and maintained by the JIT-Coordinators; Overall Equipment Effectiveness (OEE) sheets are used by the team daily to report: Equipment availability, Performance Efficiency and the Quality rate. Wenthe-Davidson is committed to JIT-Lean through the use of the Six-Sigma tools. This culture has become the link to our future and the value that we can add to your future. The cell can produce any item in a lot size of one and manages an average of 15 change over’s in the daily course of production. The build to order capability meets the customer’s JIT requirements and has eliminated the WIP and finished goods inventory. The cell configures the production processes in a sequence of one piece flow operations.